Mantras, mandalas and yantras are much used in yoga. But what, exactly, are these three strange sounding forms? 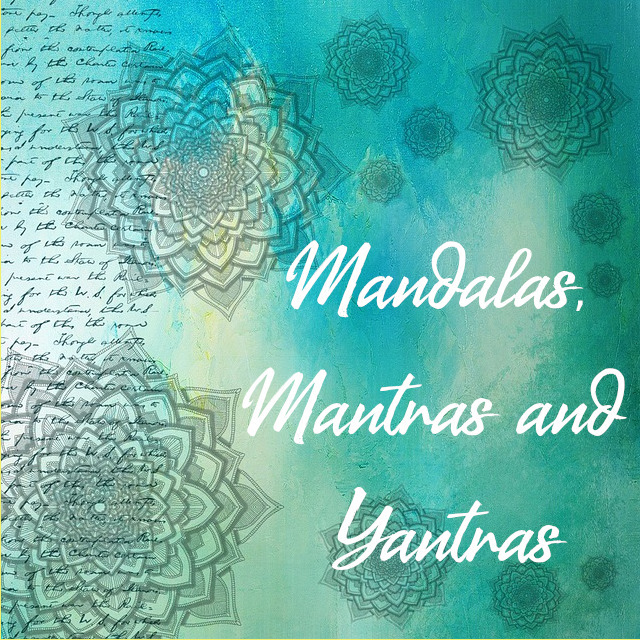 Mantras are used as a form of sound meditation while yantras and mandalas are used as an aid to visual meditation. A yantra is a mystical symbol of cosmic energy and power. Typically, it takes the form of a geometric diagram consisting of circles, triangles, lotus petals and sometimes gods or goddesses. If you are using a yantra as an aid to meditation, you focus on the central point or ‘bindu’ which is considered to be the sacred symbol of the universe. When using a yantra you are supposed to look beyond the visual patterns and into its structure and essence. Your understanding of a particular yantra grows over time. A mandala is more pictorial than a yantra and consists of circular arrangements of patterns and icons. Both mandalas and yantras influenced the structure and layout of Hindu and Buddhist temples. Similar structural arrangements are found at other sacred sites, including England’s Stonehenge and the Mayan pyramids in Mexico. A mantra meditation uses sound to instil and deepen focus. A mantra is simply something that your mind projects – it can be a picture, a color, a word, a thought, a feeling or an affirmation. You may have heard traditional Sanskrit mantras used in Buddhist chants. You don’t have to use these but instead can use your own phrase which can be something as simple as: ”I am calm and centered”. There are ideas for mantras later on in this chapter. To practice a mantra meditation, follow the steps below. ☯ Choose a cushion or blanket as your meditation cushion. If you choose a blanket, fold it up once or twice so that it is comfortable to sit on. Now pick a quiet spot where you will be undisturbed. ☯ Sit with your legs crossed or in the lotus position, where each thigh is placed on top of the opposite thigh rather than underneath. ☯ Sit up straight and allow your chin and shoulders to relax just as you did when you were breathing. Close your eyes. ☯ Relax and breathe in and out naturally. ☯ Start to focus your attention on the center of your forehead which is a place commonly known as your third eye or sixth chakra. ☯ Now place your palms together at chest height breathe in deeply and, on the exhalation, recite out loud or to yourself a mantra. ☯ Whatever mantra you choose, repeat it three times and then take a few minutes to simply relax and breathe. As you already know, a mantra can be almost anything you choose although most people prefer some kind of chant. Many traditional mantras are written in Sanskrit while others are Buddhist chants. 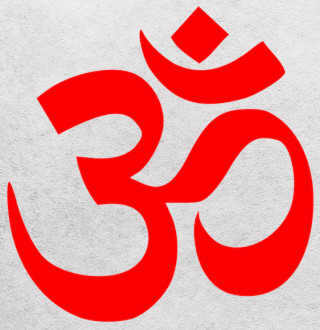 Om Namah Shivaya – means the same as above but from the Hindu culture. Om or Aum – is the most famous mantra of all (pictured on the right) and is considered to be the sound of the universe in perfect harmony. Chanted as a mantra, it enables you to tune into the universal flow of all life. The physical symbol of ‘om’ or ‘aum’ is the conch shell and it is believed to embody the highest reaches of subtle sound.